Founding Father forgotten no more! Alexander Hamilton is having a big moment. From books to Broadway to television, it seems like America can&apos;t get enough of Hamilton&apos;s history, and now everything Hamilton is new, fresh, and fascinating. 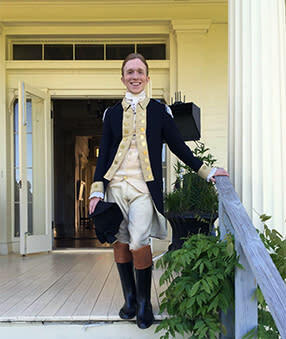 Westchester County recently played a starring role in the re-telling of Hamilton&apos;s story when Jay Heritage Center in Rye served as the location for the History&apos;s Channel&apos;s two-hour documentary, "Hamilton: Building America." The riveting doc aired in June, and featured multiple locations within the beautiful, historic estate and grounds. Based on Ron Chernow&apos;s biography and narrated by Chernow, Tom Brokaw, and Maria Bartiromo, the documentary captures the amazing life and times of our nation&apos;s newly celebrated founding father, from his time at the US Mint and on Wall Street to the two-party political system and the enormous influence Hamilton had that still resonates today. The crew of Peacock Productions, NBC Universal&apos;s production team, helped create an enjoyable and memorable shoot. Jay Heritage Center historians were impressed with their reverence for their site and knowledge about its history. A big plus? The crew&apos;s line director was a former resident of Larchmont. According to Suzanne Clary, president of Jay Heritage Center, "It was a thrill to see them re-enact Hamilton and Eliza Schuyler&apos;s wedding at our mansion at the front portico, as well as Hamilton&apos; s illicit romance with Maria Reynolds (also at the front portico)," she notes. "The infamous Hamilton-Burr duel took place right in the old orchard, too." Other areas that were utilized included the Jay meadow (George Washington encampment scene), drawing room (shots of Hamilton writing the Federalist Papers), dining room (shots of Burr looking out the window) and the rear veranda (Jefferson and Madison conferring). Despite the political rancor we&apos;ve grown accustomed to today, Ms. Clary notes that the duel reenactments were eye-opening. "One of the most remarkable moments was seeing the duel re-enacted and realizing how common an event this was during that era," she says. "We had just had Yale history professor Joanne Freeman present a lecture about &apos;Dirty Nasty Politics&apos; and here it was being recreated in front of our eyes!" Beyond the excitement of having film crews on site, one of the best aspects of film activity is the profit they generate. According to Ms. Clary, Jay Heritage Center earned $8,500 for the day&apos;s shoot, which went toward the restoration of the meadow. 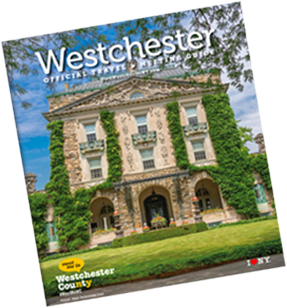 As Hamilton was our first Secretary of the Treasury, we&apos;re confident he would have been pleased to know he played a small part in raising funds to support such a treasured Westchester landmark!